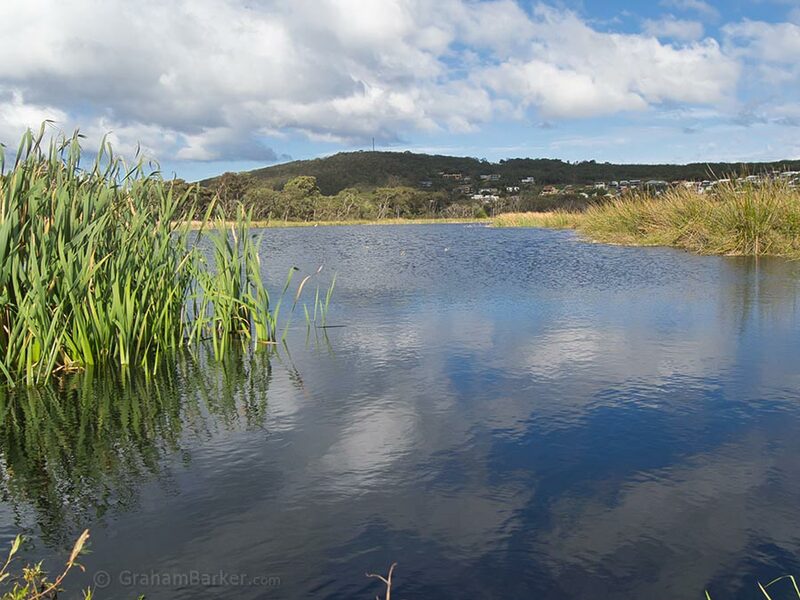 If you're a birdwatcher and you're in Albany, Lake Seppings is the place to go for sightings of hoary headed grebes or spotless crakes. For anyone else, the lake is a pleasant spot for a walk along the 2.7km path which encircles it. The sights and sounds of native birds in a wetland habitat can be enjoyed by anyone, even those with no idea what a yellow-billed spoonbill looks like. 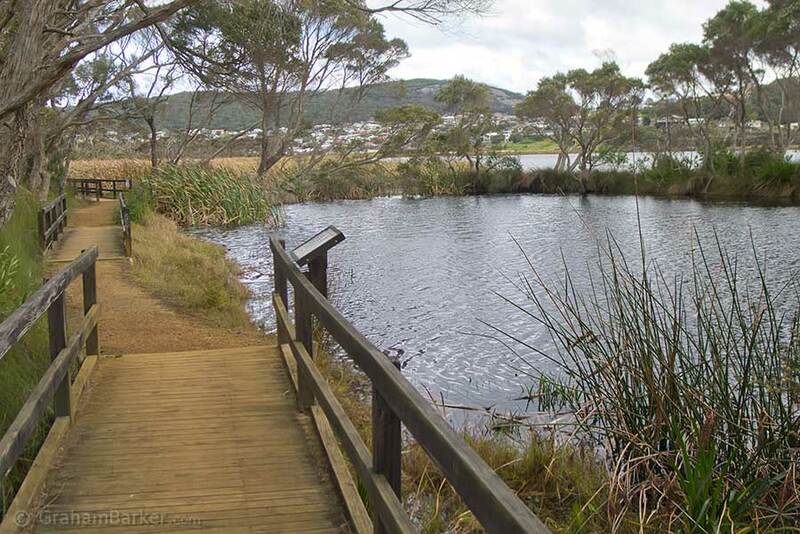 Most visitors to Albany in Western Australia's south would probably have driven past Lake Seppings at some point. 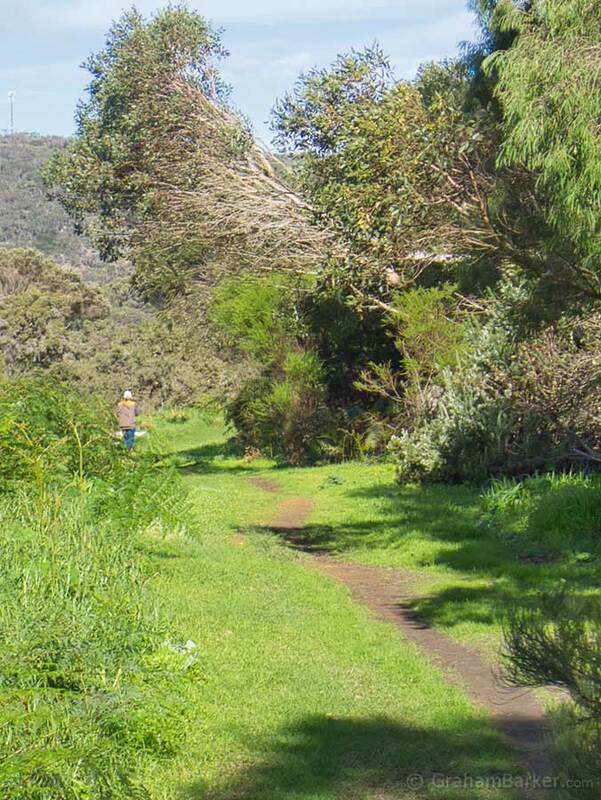 It is hidden behind trees along Golf Links Road - the road which goes from Middleton Beach to Emu Point, both of which are well visited. The tiny car park, 1.5km from Middleton Beach, is easily missed. I must have driven past it dozens of times before making the time to have a look. The birds I mentioned in the first paragraph are just three of more than a hundred species who like to hang out at Lake Seppings. Along with other creatures too - the original Noongar inhabitants named the lake Tjuirtgellong, which means 'place of the long-necked tortoise'. I didn't see any tortoises, or any of the snakes which would likely be lurking away from the path, but the sound of birds is everywhere. From the car park I headed south along the side adjacent to the road. 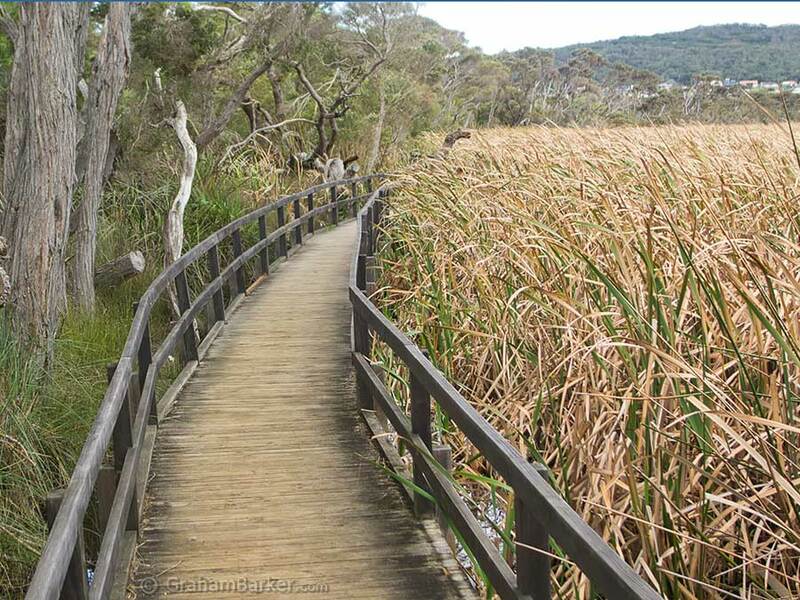 The first part is on wooden boardwalk through reeds with some views of the lake and parts of the town beyond. Even with the road nearby it isn't hard to appreciate the beauty of this natural freshwater lake. Back in 1888 the area was declared a botanic reserve. However, by the 1970s it had become a rubbish tip, and the local council was thinking of pumping sewage into it. Thankfully sanity prevailed, and the Department of Fisheries and Fauna recommended that the lake should become a waterfowl reserve, which it did, followed by construction of the boardwalk. Once the boardwalk ends, compacted gravel takes over, and soon the main path crosses the lake on a sort of natural causeway. It continues northwards on the other side of the lake on grass and soil. It can be a little soft and damp after rain - okay for flat shoes but not wheelchair friendly. 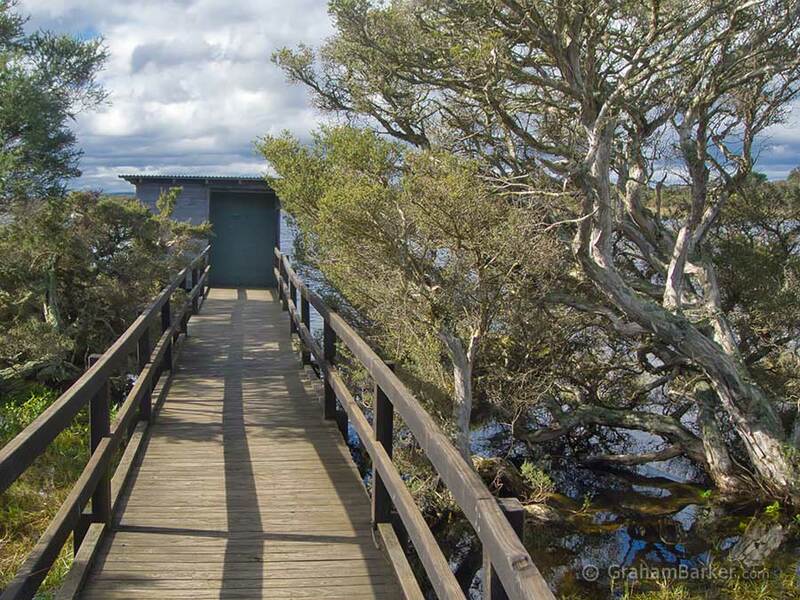 A feature of the western side is the bird hide - a small wooden shelter perched over the lake, where birdwatchers can watch birds, discretely. Beyond this the route is mostly among trees and reeds; the lake itself isn't visible, but the vegetation and bird noises make its close presence felt. For someone just wanting a short walk and a taste of the lake, without doing a full circuit, I'd recommend heading south from the car park (on the left, the side nearest to the road). This gives access to the boardwalk section and good lake views without needing to go too far. Those going all around the lake will find several junctions with no signposting. Turning right at each if walking clockwise (or left if walking anticlockwise), will keep you on the basic lake circuit. By the end of the walk I had heard a multitude of birds, seen many, and identified none. But it doesn't matter if you can barely distinguish a pelican from a duck. 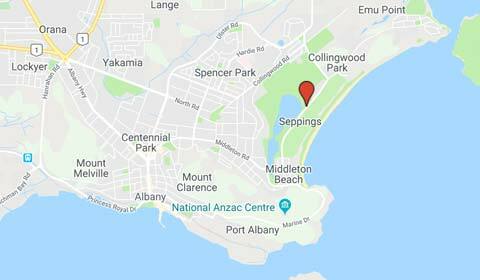 Lake Seppings is a lovely spot to get some exercise among the plants and wildlife native to the Albany region.